My name is Greg Biesecker, treasurer of the Boulder Flycasters. 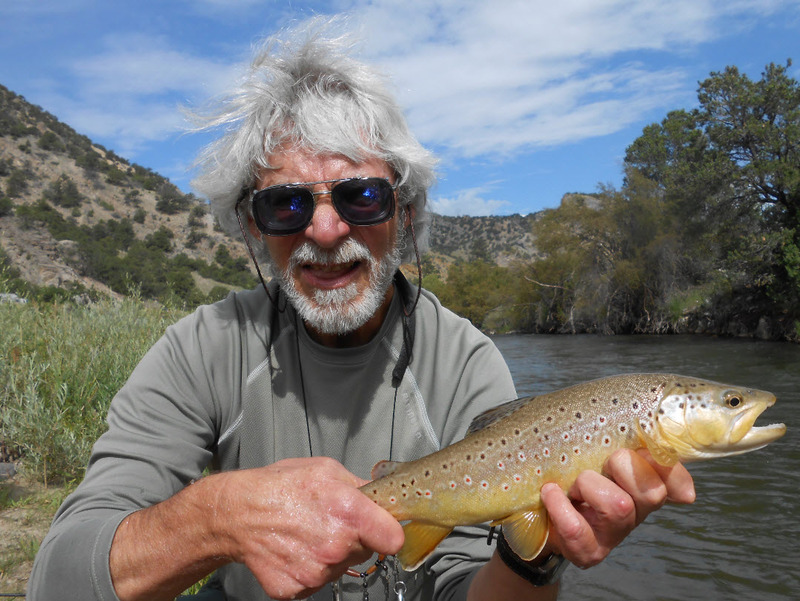 I began flyfishing after I moved to Colorado in 1992 to join a startup Biotech. I grew up in the Midwest fishing gravel-pits and lakes for sunfish and walleyes, and while living on the West and East Coasts fished for tuna, mackerel and spots, so trout fishing with flies was an interesting experience. I especially enjoy the opportunities around Boulder to hike and backpack in the mountains to fish the high lakes for cutthroat, rainbows and even brookies. As I’ve learned more about flyfishing, and since I’ve retired, I’ve be able to justify and enjoy floating and horse-packing trips, and even fishing in Alaska and Russia. Having a background in chemistry and physics, another important facet of Boulder Flycasters is their emphasis on water and environmental issues, and the education of future fishers. The Boulder Flycasters has been a great way to work with others who share these interests.